cii high performance signal level and mid-range relays are designed to perform in a wide range of extreme environments in aerospace, military electronics and commercial applications. electromechanical models ranging from microwave-switching to-5 types to multipole, 25 amp models. solid state relays including versions with built-in circuit protection and other intelligent functions. time delay relays offering various timing functions and delay times. both mil-spec and commercial versions of these hermetically-sealed relays are offered. if an off-the-shelf model doesn't meet your requirements, our experienced engineering team will work with you to develop and build a model for your application. we offer many optional terminals and mounting styles, including surface mount. the cii product line includes one of the industry's largest listings of qpl products. cii relays are currently qualified to mil-r-39016, mil-r-28776, mil-r-28750, mil-r-5757, mil-r-83726, ms27245, ms27247, mil-r-6106 and mil-r-83536. our rigid quality assurance program exceeds mil-std-790. we perform a wide rangeof tests on a continual basis in our u.s. government approved testing laboratories. 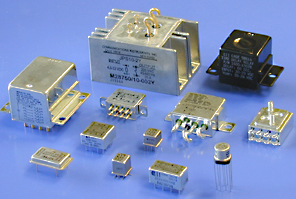 cii solenoids are custom-designed for a variety of applications. our design engineers will work with you to develop a solenoid for a wide range of industries, including close-tolerance, high performance actuators for defense and aerospace applications.